World War II raised great issues of morality in the conduct of war. These were practical issues during the war, because that conflict approached “total war” — the use of all means against all targets to defeat the enemy. So the moral questions could not be evaded: are there compelling reasons of moral principle that make certain tactics in war completely unacceptable, no matter how efficacious they might be said to be? As Michael Walzer made clear in Just and Unjust Wars: A Moral Argument with Historical Illustrations in 1977, we can approach two rather different kinds of questions when we inquire about the morality of war. First, we can ask whether a given decision to go to war is morally justified given its reasons and purposes. This brings us into the domain of the theory of just war–self-defense against aggression, and perhaps prevention of large-scale crimes against humanity. And second, we can ask whether the strategies and tactics chosen are morally permissible. This forces us to think about the moral distinction between combatant and non-combatant, the culpable and the innocent, and possibly the idea of military necessity. The principle of double effect comes into play here — the idea that unintended but predictable civilian casualties may be permissable if the intended target is a legitimate military target, and the unintended harms are not disproportionate to the value of the intended target. We should also notice that there are two ways of approaching both issues — one on the basis of existing international law and treaty, and the other on the basis of moral theory. The first treats the morality of war as primarily a matter of convention, while the latter treats it as an expression of valued moral principles. There is some correspondence between the two approaches, since laws and treaties seek to embody shared norms about warfare. And there are moral reasons why states should keep their agreements, irrespective of the content. But the rationales of the two approaches are different. Finally, there are two different kinds of reasons why a people or a government might care about the morality of its conduct of war. The first is prudential: “if we use this instrument, then others may use it against us in the future”. The convention outlawing the use of poison gas may fall in this category. So it may be argued that the conventions limiting the conduct of war are beneficial to all sides, even when there is a shortterm advantage in violating the convention. The second is a matter of moral principle: “if we use this instrument, we will be violating fundamental normative ideals that are crucial to us as individuals and as a people”. This is a Kantian version of the morality of war: there are at least some issues that cannot be resolved based solely on consequences, but rather must be resolved on the basis of underlying moral principles and prohibitions. So executing hostages or prisoners of war is always and absolutely wrong, no matter what military advantages might ensue. Preserving the lives and well-being of innocents seems to be an unconditional moral duty in war. But likewise, torture is always wrong, not only because it is imprudent, but because it is fundamentally incompatible with treating people in our power in a way that reflects their fundamental human dignity. The means of war-making chosen by the German military during World War II were egregious — for example, shooting hostages, murdering prisoners, performing medical experiments on prisoners, and unrestrained strategic bombing of London. But hard issues arose on the side of the alliance that fought against German aggression as well. 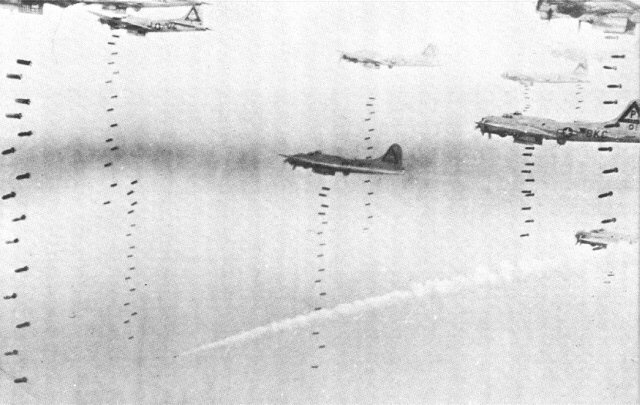 Particularly hard cases during World War II were the campaigns of “strategic bombing” against cities in Germany and Japan, including the firebombing of Dresden and Tokyo. These decisions were taken in the context of fairly clear data showing that strategic bombing did not substantially impair the enemy’s ability to wage war industrially, and in the context of the fact that its primary victims were innocent civilians. Did the Allies make a serious moral mistake by making use of this tactic? Did innocent children and non-combatant adults pay the price in these most horrible ways of the decision to incinerate cities? Did civilian leaders fail to exercise sufficient control to prevent their generals from inflicting pet theories like the presumed efficacy of strategic bombing on whole urban populations? And how about the decision to use atomic bombs against Hiroshima and Nagasaki? Were these decisions morally justified by the rationale that was offered — that they compelled surrender by Japan and thereby avoided tens of thousands of combatant deaths ensuing from invasion? Were two bombs necessary, or was the attack on Nagasaki literally a case of overkill? Did the United Stares make a fateful moral error in deciding to use atomic bombs to attack cities and the thousands of non-combatants who lived there? These kinds of questions may seem quaint and obsolete in a time of drone strikes, cyber warfare, and renewed nuclear posturing. But they are not. As citizens we have responsibility for the acts of war undertaken by our governments. We need to be clear and insistent in maintaining that the use of the instruments of war requires powerful moral justification, and that there are morally profound reasons for demanding that war tactics respect the rights and lives of the innocent. War, we must never forget, is horrible. Geoffrey Robertson’s Crimes Against Humanity: The Struggle for Global Justice poses these questions with particular pointedness. Also of interest is John Mearsheimer’s Conventional Deterrence.